I could not be more thrilled that the beautiful Lauren D'Angelo was my muse for my first yoga photo shoot of 2017! Lauren's energy was absolutely palpable during our photo shoot; it was a blessing to photograph both her positivity and kindness that radiates in her smile, and her strength that comes through in her challenging poses. This lady has a ton of amazing events and classes coming up that I'd love to shout out. 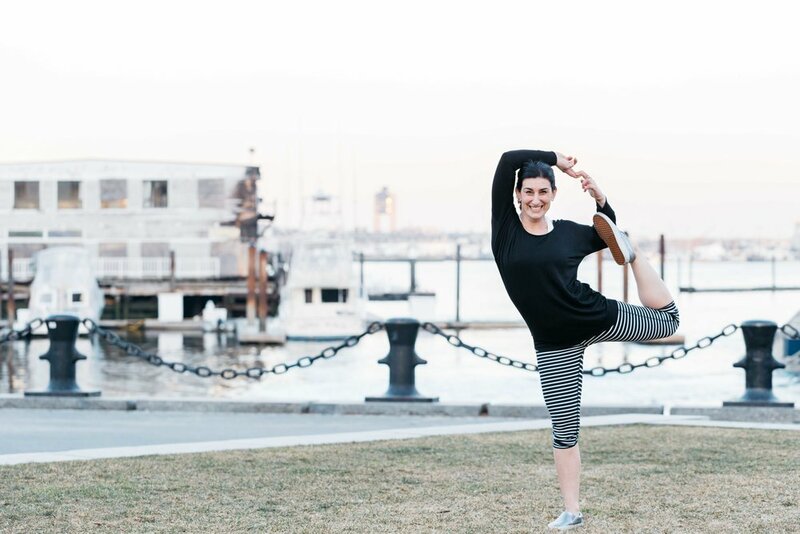 You'll definitely want to check them out starting with her Family Yoga Workshop this Saturday, 3/4 at Universal Power Yoga in Norwood, MA. 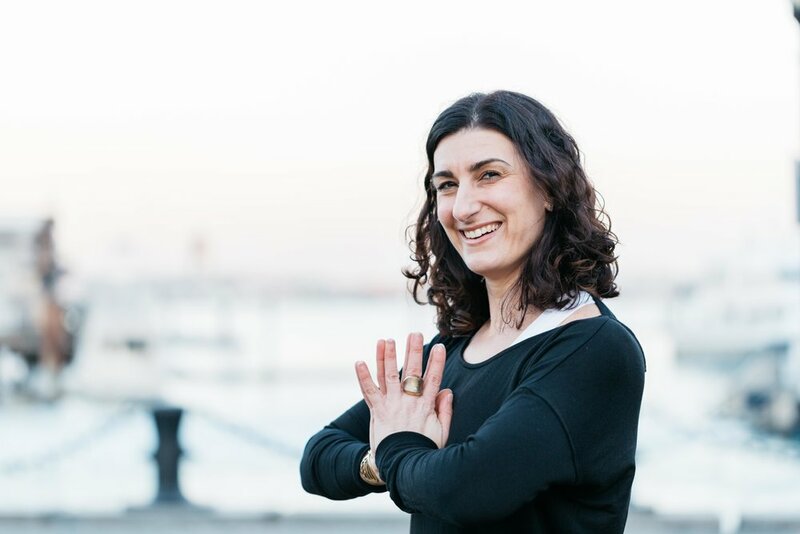 She has also created an amazing vin/yin style workshop called Evenflow which she'll be teaching at She Breathes Wellness and Balance in Walpole, MA on 3/10 and 4/7 and back at UPY on 4/21. You can sign up for these workshops and see her regular class schedules at UPY and Stil Studio in Dedham, MA through each of the studio's websites. 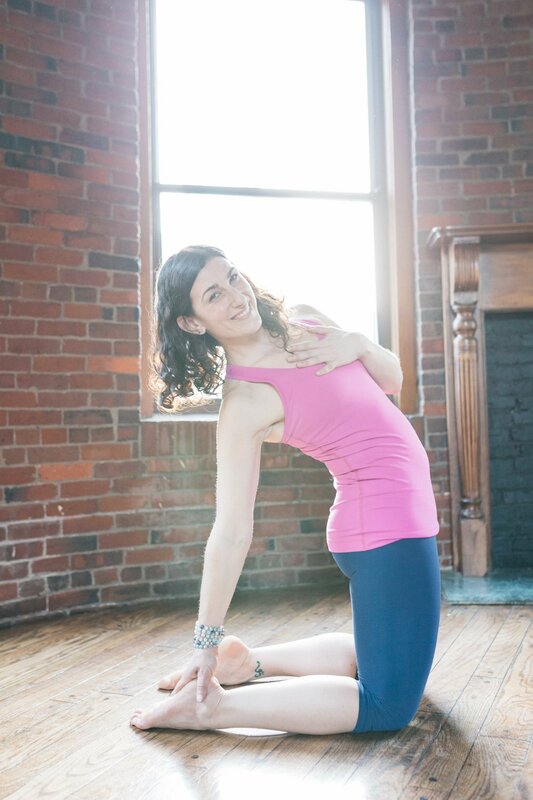 Lauren is also teaching an outdoor yoga class to benefit Smith Farm on 5/6 at the beautiful Borderland State Park in Sharon, MA. How cool is that? You can follow Lauren to hear about more great events and classes via her facebook page and instagram feed. Lauren chose this charming brick Breather space in Boston for her photo shoot which photographed absolutely perfectly for this session. We had a gorgeous sunny day so the light coming in through the windows was abundant and we definitely capitalized on that to capture lightness in both the more accessible and the more challenging poses. We then headed down to the waterfront to incorporate some of the iconic Boston harbor into our photo shoot. I can't wait to share a few previews today! If you're interested in scheduling a yoga photo shoot, please contact me today!